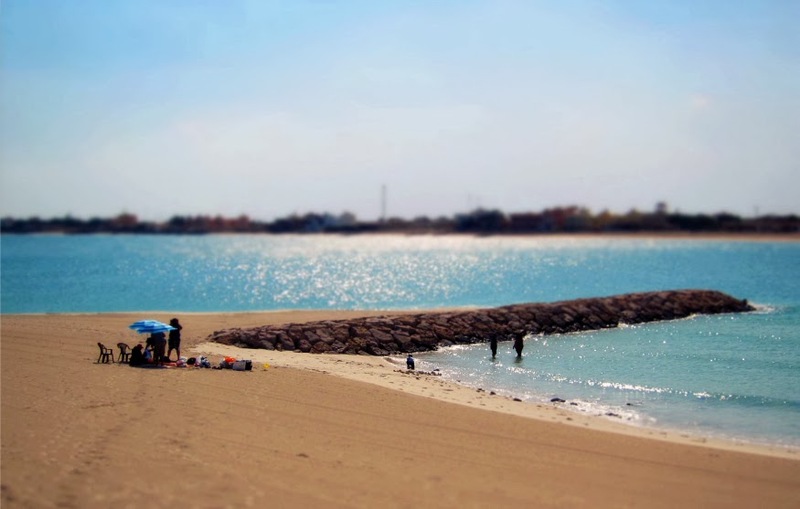 The Pic-a-daily Project: Sun, Sand, Snacks & the Sea. Sun, Sand, Snacks & the Sea. Kheiran, Kuwait. They've brought the sea inland, building little villas along the shore for weekend breaks, if not for longer stays. There's an unnatural feel to being on a constructed beach. Then again, that's the case all over Kuwait. Whats a beach without waves? Nevertheless, with virgin-like sands to play in, clean water to plunge into, good friends for company and always awesome home-made goodies to munch on, t'was nothing short of a beautiful day at the beach.